Used in medium voltage energy distribution. Provides you the Fire Retardant characteristic. It also has excellent mechanical protection during laying, installation and service. 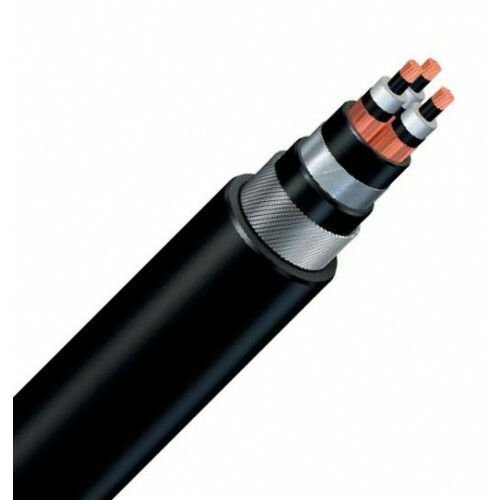 With the Flameproof characteristic, it is highly recommended in areas with high explosion or risk of fire. Have extra pulling force, where the armour can be used to pull the cable. 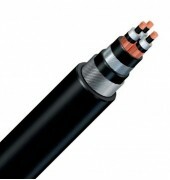 These cables are designed to be resistance to hydrocarbons. Lead sheath provides water tightness and chemical protection. The maximum conductor temperature at continuous rating is 90oC. Copper conductor class 2 according to IEC 60228, Cross-linked semiconductor compound, XLPE insulation, Cross-linked semiconductor compound, Copper tape screen, Hydrocarbon resistant PVC first inner covering, Lead sheath, Hydrocarbon resistant PVC inner covering, Galvanized steel wires armour for multicore or aluminium armour for single core, Hydrocarbon resistant PVC sheath.